Bachchans FC 7!-DOTW-p.119-Big B as Pres. Please send a PM if anyone has been missed out. It will be fixed as soon as possible.We will keep updating the members list. On January 8, 2001, Amitabh Bachchan was honoured with "Best Artist of the Millennium" award by Hero Honda and file magazine "Stardust". 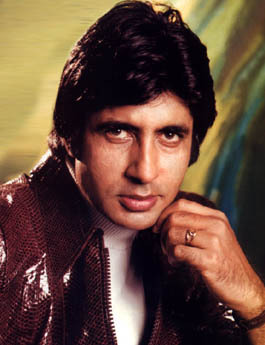 In March of 2001, Amitabh Bachchan was ranked as the most powerful actor in Bollywood, by Forbes.com. British newspaper The Sunday Times has described Amitabh Bachchan as "Tom Cruise, Sean Connery and Clint Eastwood rolled into one." "Certainly there is no British actor alive who shares his fame," the British newspaper said on December 4, 2006. In April of 2005, The Walter Reade Theater of Lincoln Center in New York honors Amitabh Bachchan with a special tribute, retrospective--titled "Amitabh Bachchan: The Biggest Film Star in the World"--  The tribute also included "An Evening with Amitabh Bachchan", a live appearance by Bachchan hosted at the Lincoln Center's Alice Tully Hall. On September 10, 2001 Amitabh Bachchan was awarded the Star of the Century award, the closing day of the Alexandria International Film Festival. Egyptian Minister of Culture Farouk Hosni presented Bachchan with the award in recognition of his contribution to international cinema. Amitabh Bachchan and Sonia Gandhi were voted as "INDIAN(s) OF THE YEAR" by NDTV-24*7. Amitabh Bachchan has been nominated as Filmfare Best Actor twenty-eight times (a record). In 1994, Amitabh Bachchan was awarded the Yash Bharati Samman, UP state's highest award from the Government of Uttar Pradesh. Amitabh Bachchan will be honoured along with actors and directors from Hollywood at an International Film Festival in Rabat, Morocco. Amitabh Bachchan was given an honorary degree of Doctor of Arts by De Montfort University in Leicester, UK on July 19, 2006 in recognition of his distinguished career in films. He is the first Indian star to be feted by a foreign university. Amitabh Bachchan has become the first Indian celebrity and the sixth in the world to be presented with a special certificate for his support to the International Finance Facility for Immunisation (IFFI) in London.